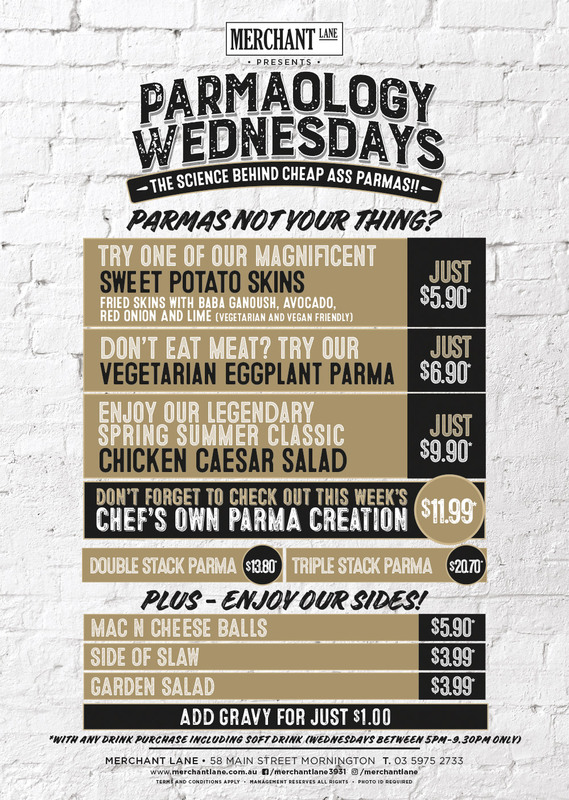 $6.90 PARMA with any drink purchase (including soft drink)! Available every Wednesday night from 5pm – 9.30pm! Book your table now on (03) 5975 2733. 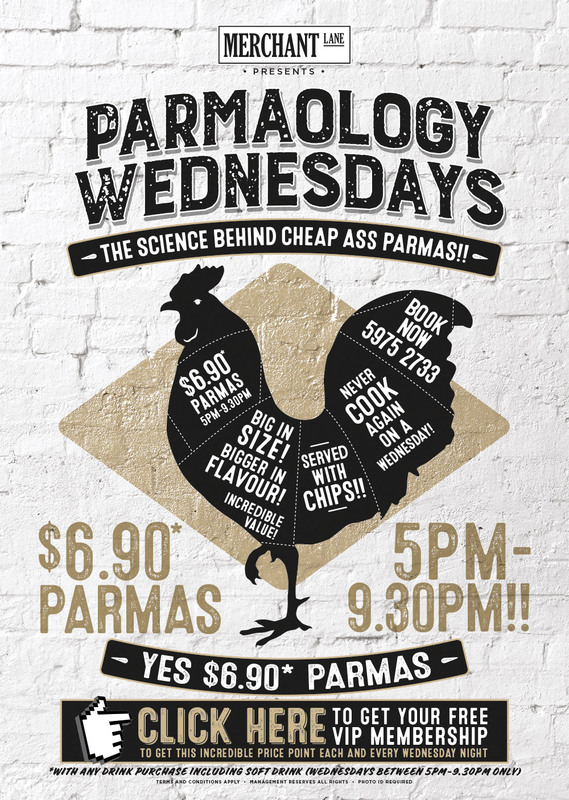 CLICK HERE AND BECOME A PARMAOLOGY VIP TODAY!